Did we find stupefying things at Baselworld? Perhaps special animals that we didn’t expect to encounter in the corridors? Yes, we did. And we decided to show you what we lovingly call our “beasts” as they are really out-of-the-box animals. The first one is the massive UR-1001 Titan because it is a huge – and complex – pocket watch conceived to be worn not on the wrist but on the arm! Another huge watch, but not quite as big, is the Histoire de Tourbillon 6 by Harry Winston. Why? Because it contains a double movement with a triple-axis tourbillon for the hours, minutes and seconds, on one side, and a chronograph with carrousel that can also work as a dual time indication on the other side. It is rare to find such unexpected combinations of functions, but it fits this special project focused on the tourbillon. 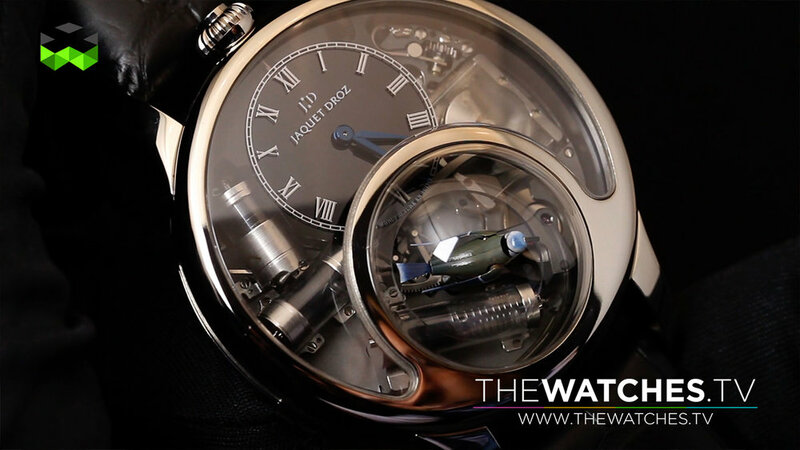 Beasts can be also naturally animals, and the Charming Bird by Jaquet Droz was the loveliest one. Why? Because a miniaturized automaton inside the movement allows a three-dimensional little bird to sing, move, and revolve around its own axis. Of course, the watch is not a surprise as it was presented last year. But it has been modified and improved and is now available for sale. And, finally, the most poetic is an animal: the legendary peacock that opens its tail feathers on the new Lady Compliquée watch by Fabergé. Actually, the spectacle is here poetic; it is a model that concentrates on good taste while finding a hypnotic way of displaying time. So don’t be afraid of any of these: they are all just incredible watches.